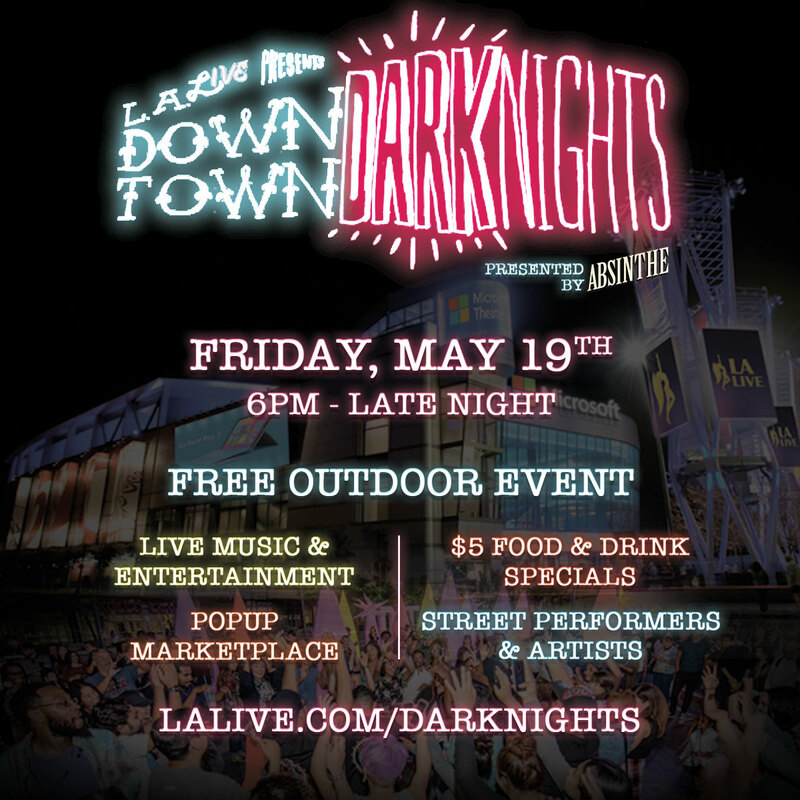 Come visit us at #DTLADarkNights at @mylalive on 5/19!Stop by and check it out! Vendors, graffiti artists, street performers, $5 food & drink menus & more. Come out and have have some fun! RSD Little Box of Art Debut! 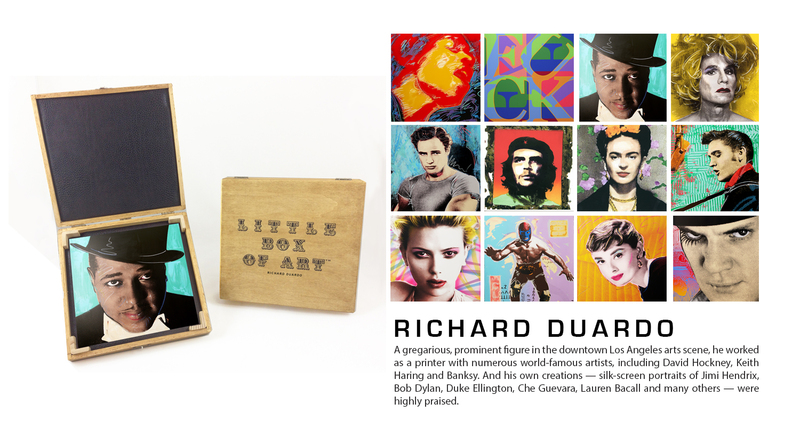 Today, we officially release the Richard Duardo Little Box of Art™! The timing couldn’t be better either! Today, May 15th, 2017 would be Richard’s 65th Birthday. Happy Birthday, RSD. “We’re making a case for art,” said Fly Tucker of L’Atelier Printing as he proposed this project to the Estate of RSD. L’Atelier Printing has already published 3 artists (Van Arno, Anthony Ausgang, and Germizm) making this the fourth box and FIRST time a deceased artist’s works will be available in this collectable format! 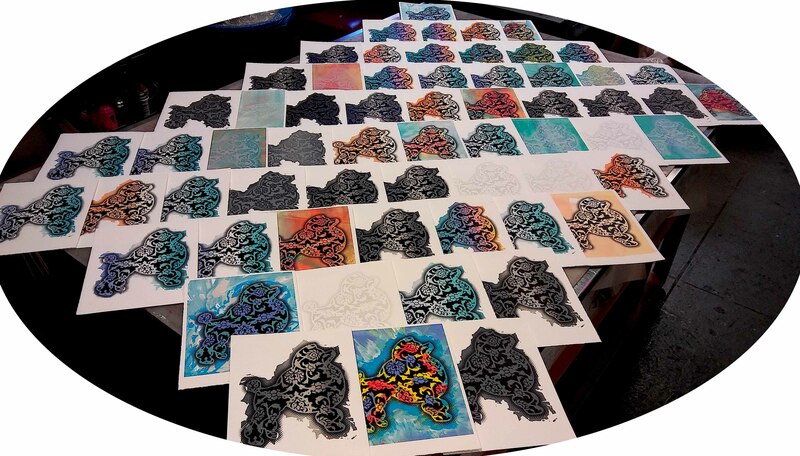 Modern Multiples – the living legacy of master printmaker Richard Duardo – IS STILL PRINTING and has decided to co-publish this edition by producing the archival prints in-house. Approximately 7″ x 7″, the artwork inside is printed with Ultrachrome HD inks on 100% rag, acid-free paper. The colors and quality of these prints are begging to be in a mini frame! You can rotate out your favorite one whenever you please! Modern Multiples and its crew would like to formally congratulate artist, legend, partner and friend Frank Romero for his continued success and recent peak in renown as he celebrates his life work in several locations with concurrent shows “Dreamland” at MOLAA (Museum of Latin American Art), “Soñando en East Los” at CalState LA’s Fine Art Gallery and “Soñando en Califas” at Eastern Projects in Chinatown’s Blossom Plaza. It was a real pleasure to see an LA Chicano artist in MOLAA. Modern Multiples team Lisa Duardo and Montana Mills get an early bird hello in with Romero outside MOLAA by the car show at the Opening Reception on Saturday Feb. 11th, 2017. Show on exhibition until May 21st. Get your tickets here. 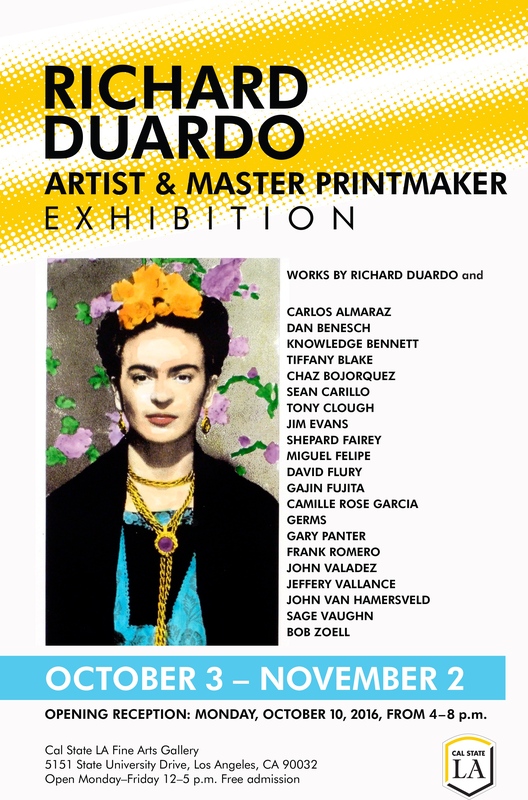 CSULA Fine Art Gallery, which recently hosted Modern Multiples’ own “Richard Duardo: Artist and Master Printmaker” in October 2016, now houses a concurrent show of works on paper for Frank Romero. In fact, Romero has produced a lot of limited editions in his life and many were thanks to the many studios Richard Duardo owned and operated. For example, “The Closing of Whittier Boulevard” to the left was printed by Aztlan Multiples, one of Modern Multiples’ predecessors. This show is still open as well until March 10th, 2017. Free to visit. View location and time availability here. Lastly, a wonderful show that’s already come down, “Soñando en Califas” at Eastern Projects in Chinatown’s Blossom Plaza was a timely show for Romero which preceded the openings at MOLAA and CSULA. The mere fact that Frank had enough artwork to fill Eastern Projects while so much of his body of work was already curated into a museum and a university’s fine art gallery is stunning. His life’s work is a rooted, vibrant depiction of the Los Angeles Chicano experience. Don’t miss out on attending the retrospectives still on display! He’s surely in another iteration of fame! In his own words, “I’ve been around so long I’ve been famous six times.” Think this makes 7, Frank! Congratulations. Much of Frank Romero’s limited edition works created at Modern Multiples are available to collect through the Modern Multiples Shop! Take a look and collect yourself a Frank Romero today! Congratulations to the first 99 people to come to Saturday’s Release Party. They got to take home a Poodle as a gift! Whether you’re ready to invest in your collection or still readying yourself for the plunge you’ll never look back from, Modern Multiples is dedicated to putting fine art multiples in your home! A thank you to all the artists that participated in this Modern Multiples Publishing project titled “24/7/365 – Art Never Sleeps”. It yielded an incredible box set and look how amazing it all looks framed and on display! Each artist brought their artistry, imagery and creativity to this project and it was a pleasure having each one of them in the studio creating. The artists are as follows. 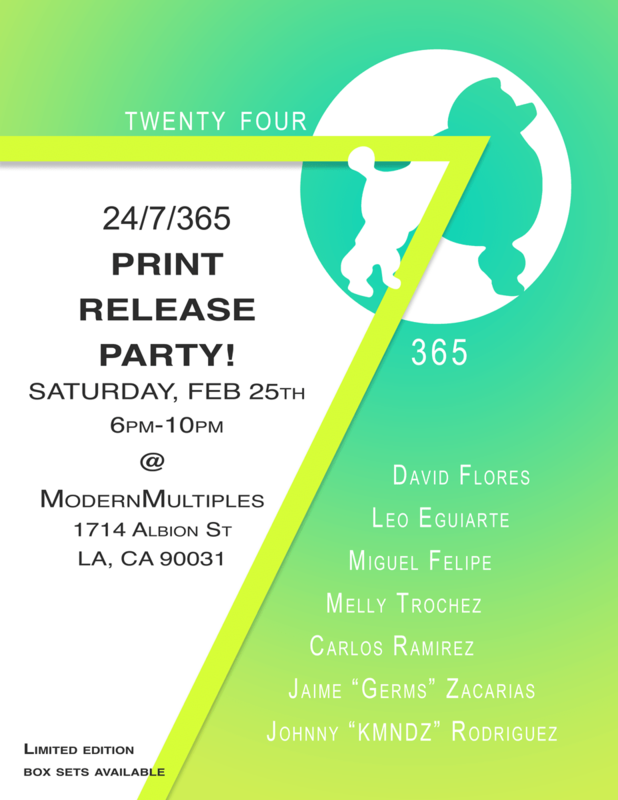 Modern Multiples was very proud to host this event that attracted a great community brought together by art! Not only do we want to acknowledge our friends and patrons who showed up on Saturday, but we want to acknowledge the space as the hub of community that it is. 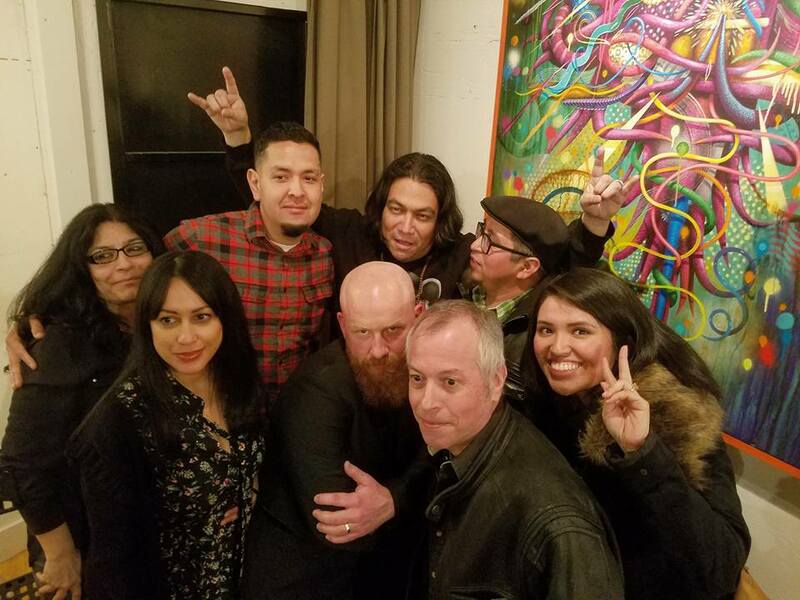 We had everyone from our new hot sauce-slangin’ friends at El Machete to our local elote lady Ana bringing the legit bacon-wrapped hot dogs and tacos to our family friend Zhi-Zhi selling girl scout cookies all being supported in the same room! 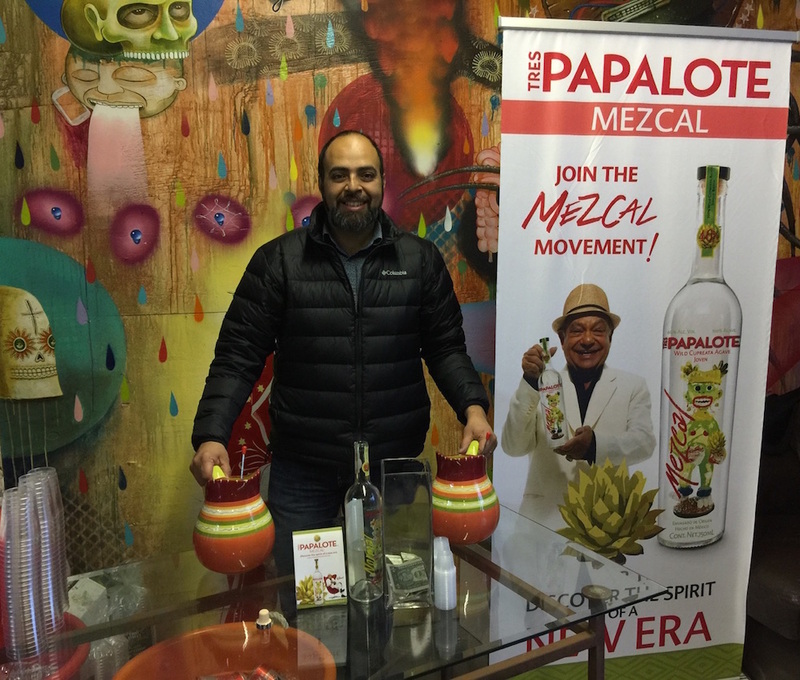 A big thank you goes out to our sponsored open mezcal bar to Edgar with Cheech Marin’s Tres Papalote Mezcal. Everyone got to try a taste of a delicious spirit. In fact, this Saturday at Ramirez Liquor, Cheech himself will be doing a signing with his Mezcal bottle. Don’t miss out! 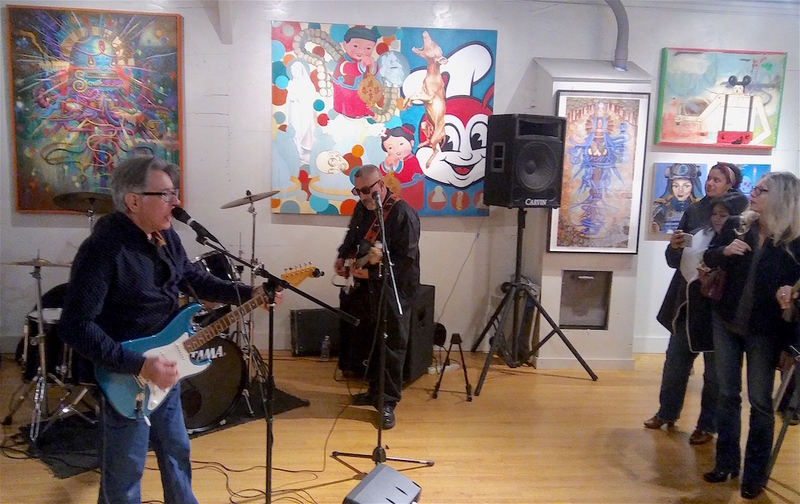 The band rocked the house as Eloy Torrez strayed from his usual visual art to provide us live entertainment along with his band, Chiquis and Jose. Thank you guys! DJ Sheak One also in the house keepin’ it moving all night! Not only did we successfully release 7 original artworks with this 24/7/365 publication, but we still have the entire suite of Poodle Tributes available! Get one today! 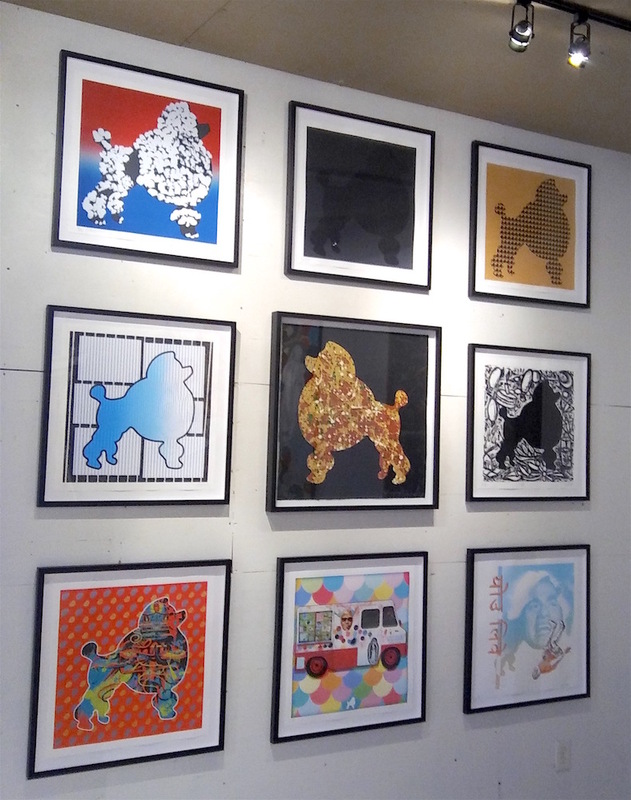 And if anyone saw some art they cannot live without, please send all acquisition inquires to print@modernmultiples.com. 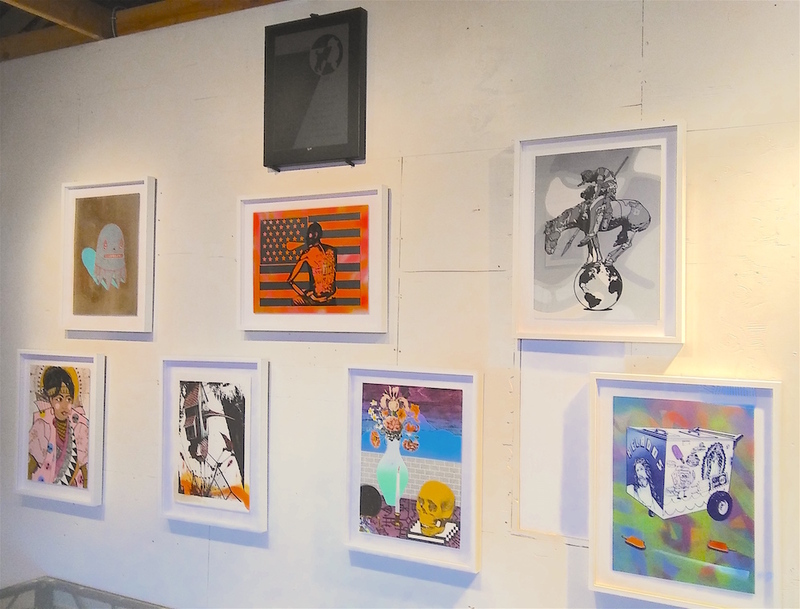 For a private viewing of the artwork on display and available through Modern Multiples, please email print@modernmultiples.com! Please email your favorite photo or two from the night to info@modernmultiples.com. We’ll get the best ones up on our social media. Don’t forget to follow us @ModernMultiples. Opening Reception: Saturday, February 7, 4:00-6:00 p.m. Admission and events are free and open to the public. Guided tours can be arranged by appointment. 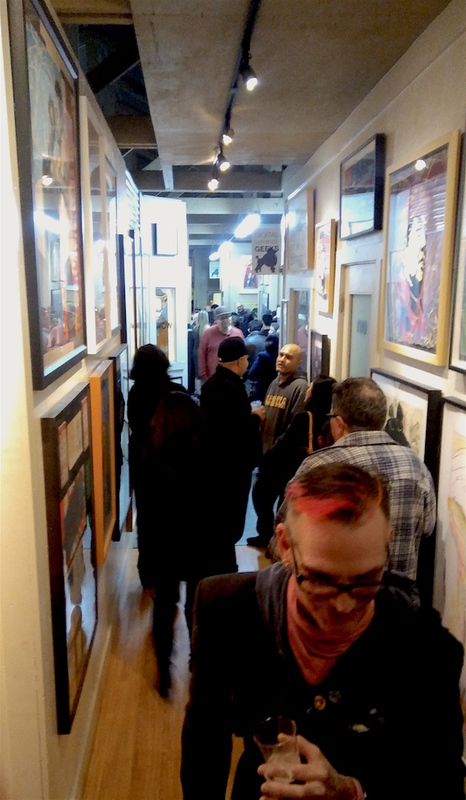 such as East Los Angeles’s influential community-based printmaking atelier, Self Help Graphics & Art, as well as Richard Duardo’s Los Angeles print shop, Modern Multiples, provided a space for art to function as a mechanism for community building. Collectors began to acquire Chicana/o prints in the 1980s, when posters became more aestheticized and in dialogue with mainstream contemporary art movements. empowerment. “They have amassed one of the largest selections of Chicana/o art not because they were wealthy with disposable income, but because they saw its importance from the very beginning. They felt that art reflected their lives, that it was empowering; for this reason, they made it their commitment to share this work with others,” explains Carlos Francisco Jackson, Assistant Professor, Department of Chicano/a Studies, UC Davis in the prologue of the catalogue that accompanies the exhibition. Former Angelenos and UCLA alumni, the Romos have made great contributions to the field of Chicano Studies; they have both integrated arts education into their academic disciplines, history and sociology, respectively. Dr. Ricardo Romo currently holds the position of president at the University of Texas, San Antonio. Romo authored the 1983 publication, East Los Angeles: History of a Barrio after receiving his PhD in history from UCLA (1975). Dr. Harriet Romo is Professor of Sociology at University of Texas, San Antonio. 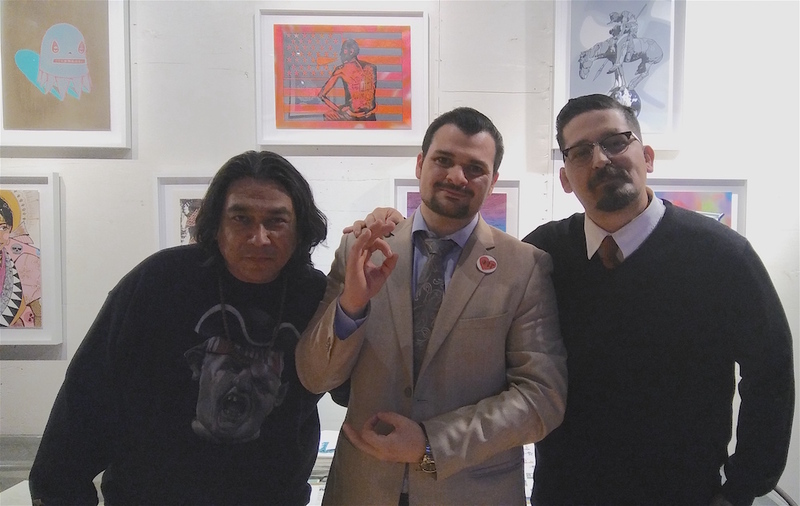 with several of the artists from Estampas de la Raza: Contemporary Prints from the Romo Collection. Hours: Tue. Wed. Fri. Sat. 12:00 – 4:00 p.m., Thu. 12:00 – 7:00 p.m.
Emmanuelle CHOUSSY is an ex-photo model who turned photographer, born and raised in FRANCE. She studied French comparative literature of the 18th Century, then obtained a Master Degree in « Audiovisual Communication », before establishing as a self-taught photographer in 2004.